One Momma Saving Money: New Balance Men's Running Shoes $49.99 + $1 Shipping (Normally $119.99)!!! New Balance Men's Running Shoes $49.99 + $1 Shipping (Normally $119.99)!!! Check out Today's Daily Deal! 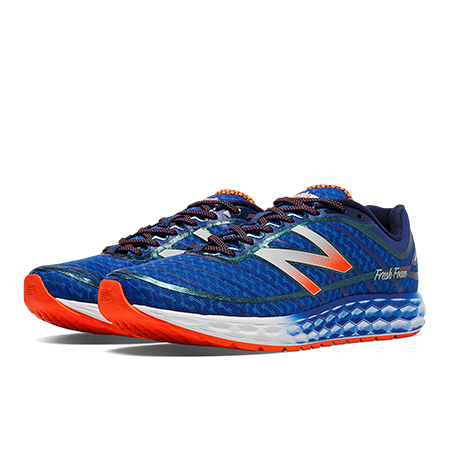 Save 58% on the Men's Running 980 Now Only $49.99 + $1 Shipping with code DOLLARSHIP at JoesNewBalanceOutlet.com! Offer valid Monday, 5/9. Be relentless. Never stop pursuing in Fresh Foam Boracay. Designed to bring a smoother and more stable ride to your route, this shoe gets that there is always something to chase. With soft and consistent cushioning, it delivers plush comfort from mile 1 to whenever you decide to stop.